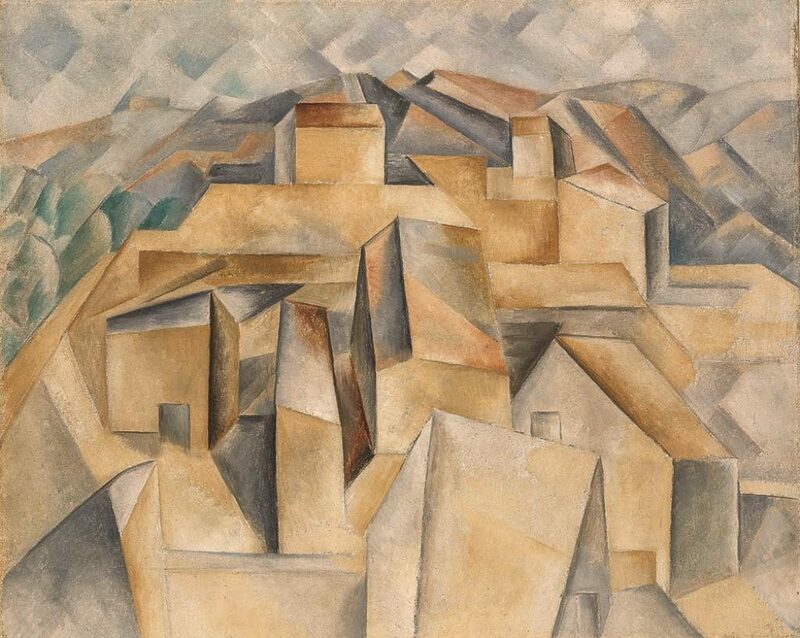 Picasso and Braque “invented a new visual and conceptual language,” according to the exhibition’s curators. 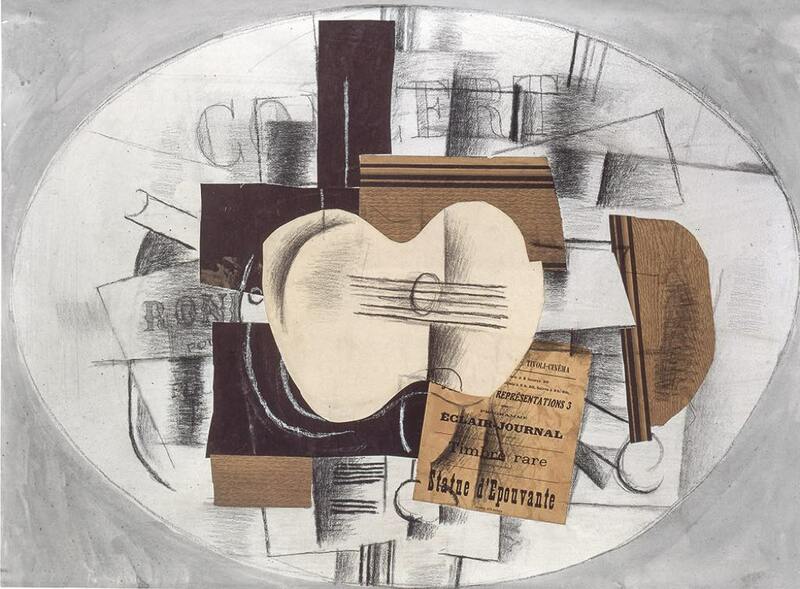 This language, which had its own rules, was a kind of game for deconstructing and reconstructing on canvas what they saw before them, whether it was a still life, a landscape or a man with a guitar. Color was pretty much out in the early days – too much of a distraction from this intellectual game? – only brown, white and gray were allowed. After a while, Braque tried something new: integrating real objects like wallpaper, newspaper cutouts and pieces of wood into his paintings, adding a new dimension to the flat surface and paving the way for the development of collage. 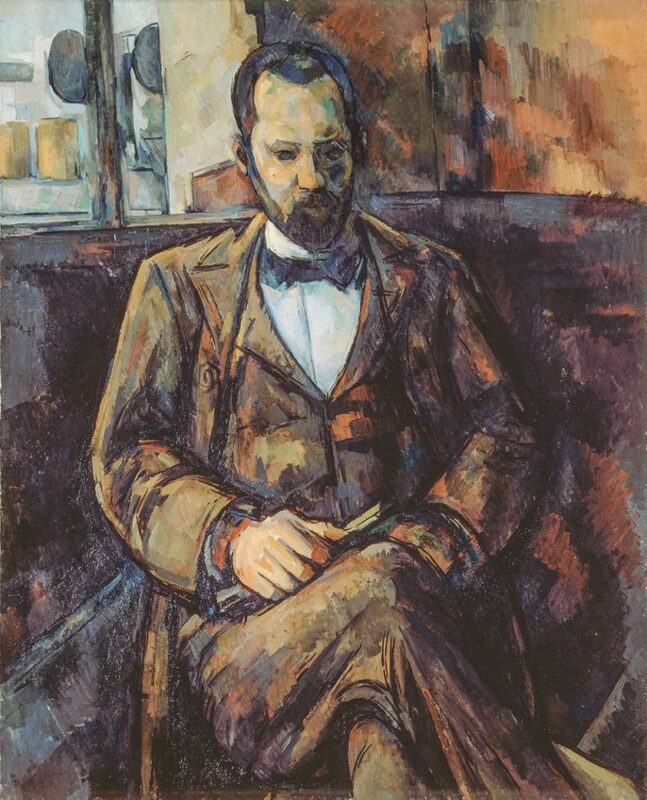 Cubism was mocked by critics (“little cubes,” said one, giving the movement its name) and lauded by that loyal friend of artists, the poet Guillaume Apollinaire. 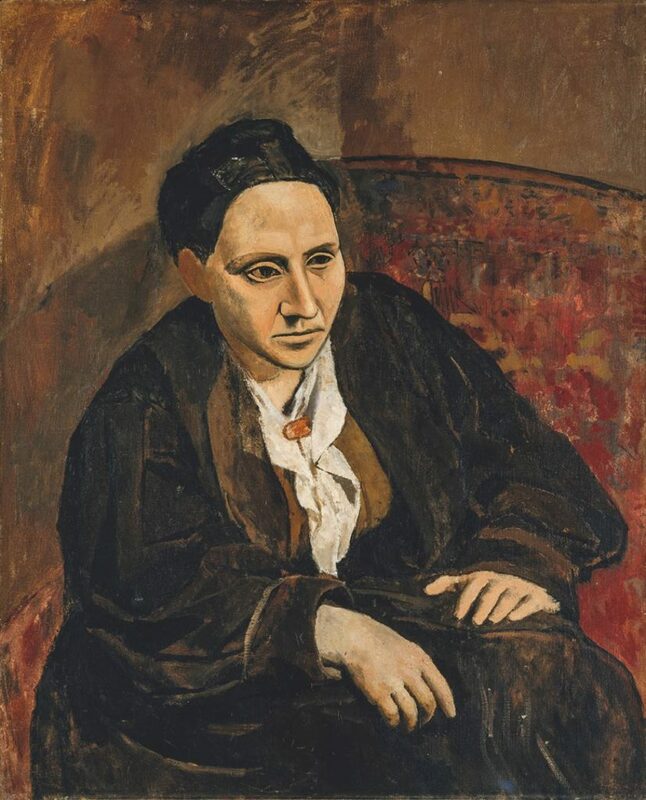 Aside from Cézanne, other inspirations came from African, Oceanic and archaic sculpture, which fascinated and influenced many artists of the time, perhaps most of all Picasso, who was inspired by his discovery of pre-Roman Iberian sculpture to rework the face on his portrait of Gertrude Stein into a mask-like resemblance and then to paint his ground-breaking 1907 painting “Les Demoiselles d’Avignon,” considered a warmup for the Cubist works. 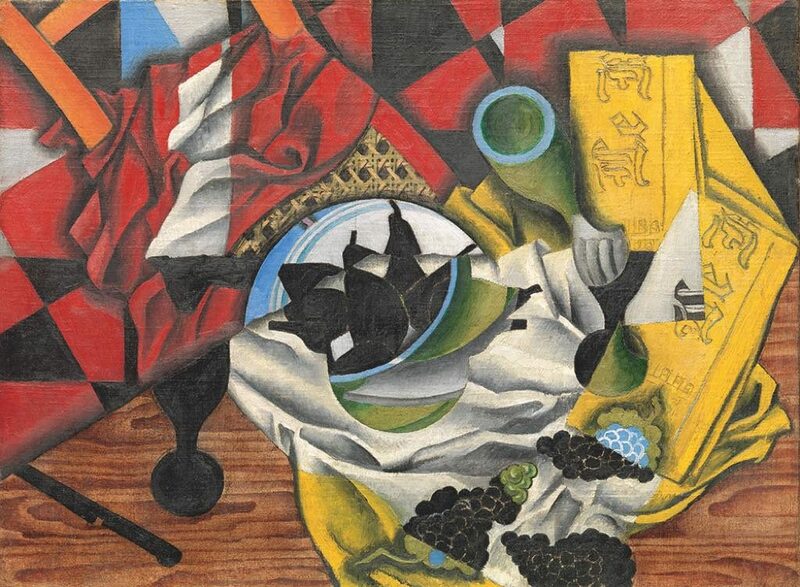 The exhibition goes on to show the evolution of Cubism as other artists – among them Juan Gris, Fernand Léger, Francis Picabia, and Robert and Sonia Delaunay – took it up, adding color and their own personal touches. We also see how Cubism branched off into Futurism in Italy and eventually influenced the abstract works of such artists as Piet Mondrian and Kasimir Malevich. I wished at times that this very serious and thorough exhibition were a little more playful, like a show on Cubism I saw a few years ago that provided a sort of key for reading the puzzle of Cubist paintings. Such an approach may be less academic, but if Cubism was a game for the artists, can’t we have a little fun with it, too? Open Wednesday-Monday, 11am-9pm. Closed Tuesday.